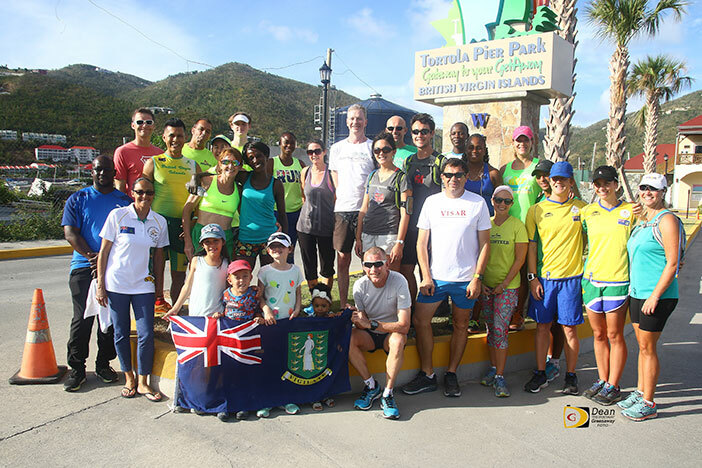 After running in St. Kitts-Nevis on Sunday morning, 22 local runners joined British businessman, sports enthusiast and Run The World 10K Challenge founder Dan Thompson, in a 6.2-miles circumnavigation of Road Town. Thompson was running in his 139th country on his Run The World 10K Challenge that began on July 17, 2013 in Norway, as he has undertaken to run 10k in every country in the world—a total of 206 countries that has Olympic Committees—by the 2020 Olympic Games in Tokyo, Japan. Thompson is doing the challenge to raise money for cancer research and to promote the benefits of an active, healthy lifestyle, something he shared with participants ahead of the run. He’s aiming to raise £50,000. By the end of the venture, he would have finished 1,277.2 miles of running. 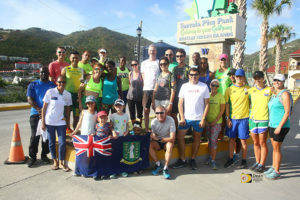 As of Sunday, he has completed 861.8 miles so far, ahead of running in Dominica on Monday and wrapped up his Caribbean tour in Antigua and Barbuda on Tuesday. He will run in France on April 28. Thompson said he had a great run in the BVI with great company and people to chat with along the route which made all the difference and said having someone to talk to, you don’t notice the miles going by. Before his departure, Thompson spoke to the students at Cedar International School. Thompson, 57, first trek to the Virgin Islands was on November 14, 2017 when he ran in St. Croix, marking the 127th country at that time.